Photo a Day Challenge: Day 2 "Fruit"
Olivia's Photo: I've been wanting fabric with fruit on it forever (alliteration, much?) so when I saw Fabric.com is now selling 1/2 yard sizes, I splurged and got myself some! 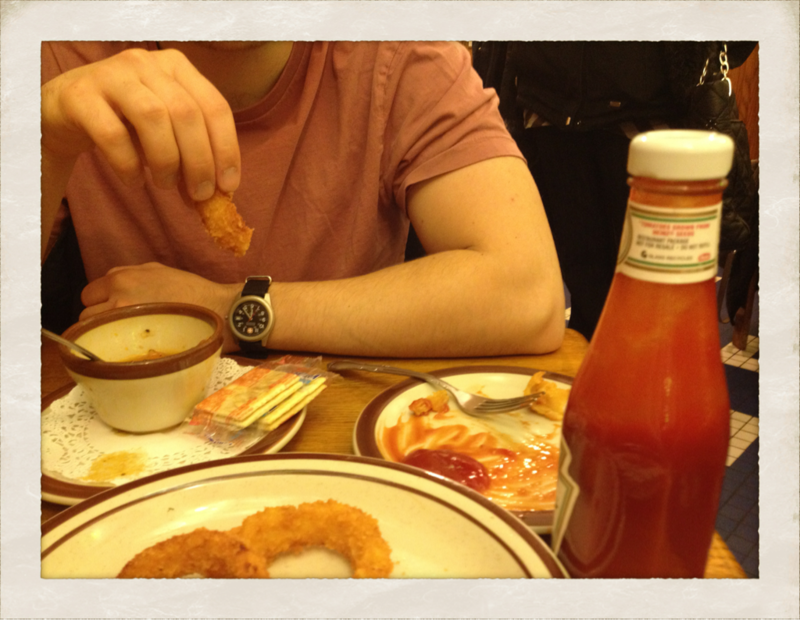 Jenny's photo: Andrey and I stopped at Taby's Diner is Oyster Bay for onion rings and soup before we headed over to see a middle school production of Beauty and the Beast. My fruit of today was tomato sauce, not all days can be super-duper healthy.